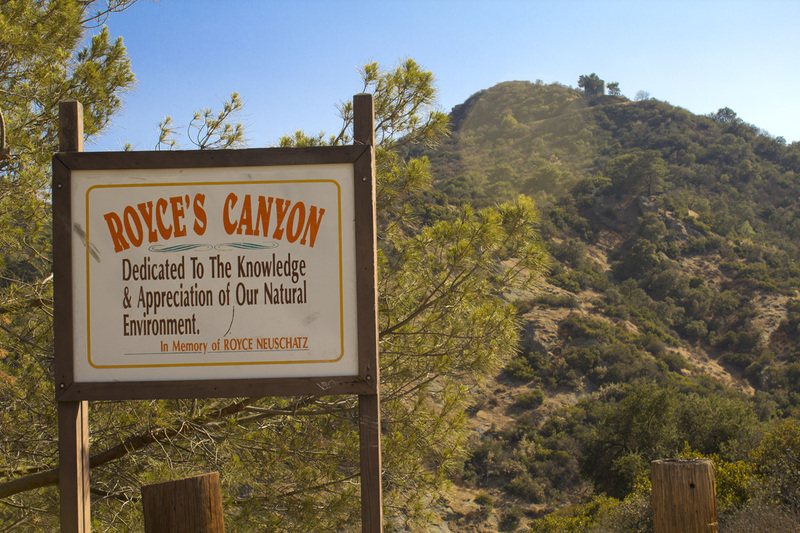 Royce's Canyon is a canyon saved. 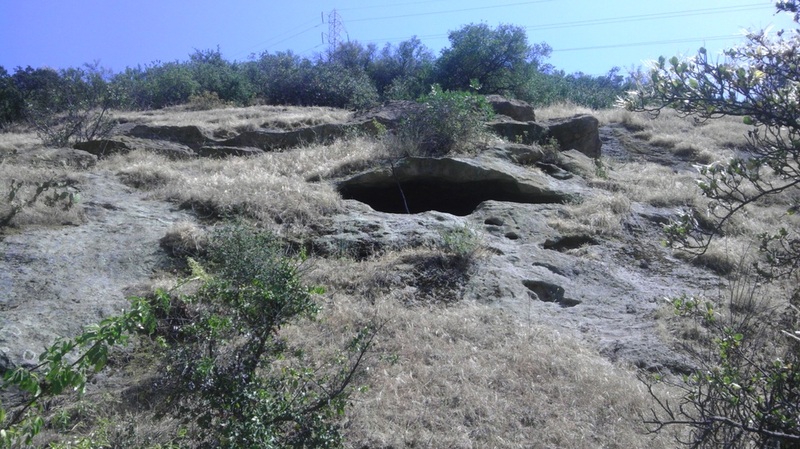 Slated for development as a landfill, activists, led by Royce Neuschatz, mounted a fierce campaign to halt the planned filling of this secluded canyon with city trash. Ms Neuschatz and her followers were rewarded for their efforts when the city abandoned its plans in the late 80s. 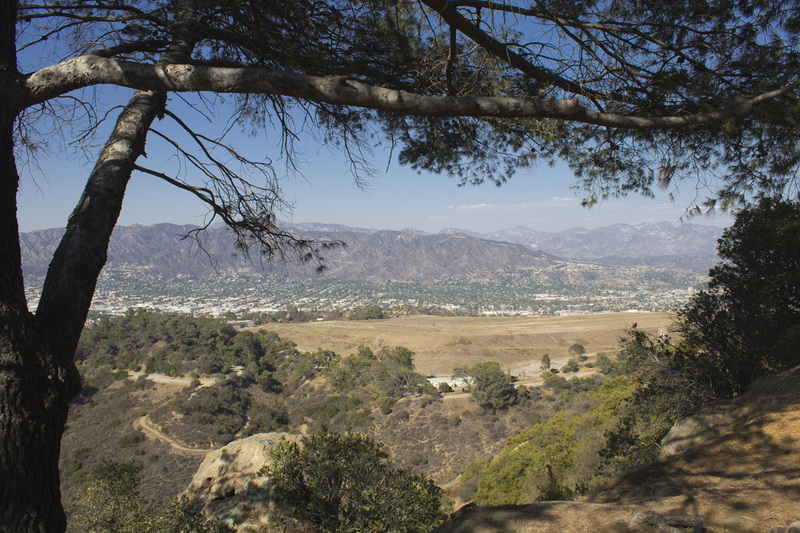 When the former Parks and Recreation Commissioner passed away from cancer at the age of 57, the canyon was renamed in her honor. The trail follows Mt. 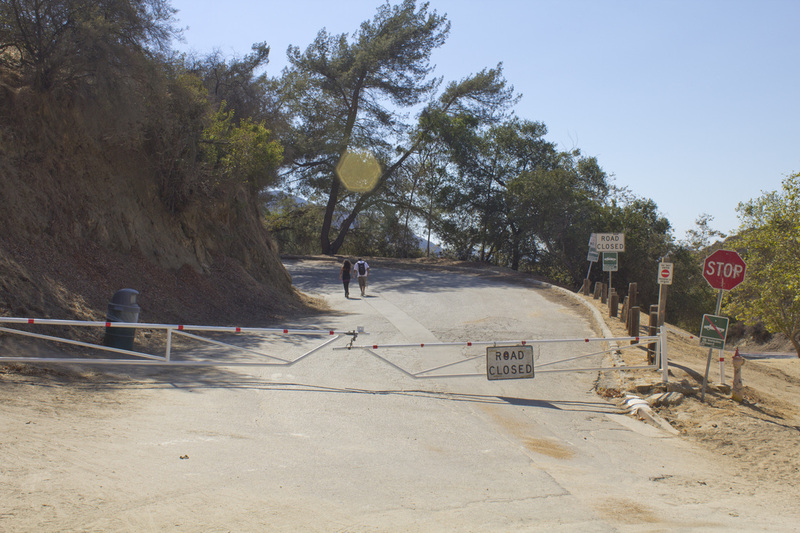 Hollywood Drive, a closed to vehicular traffic roadway, as it winds its way around the upper perimeter of the canyon. 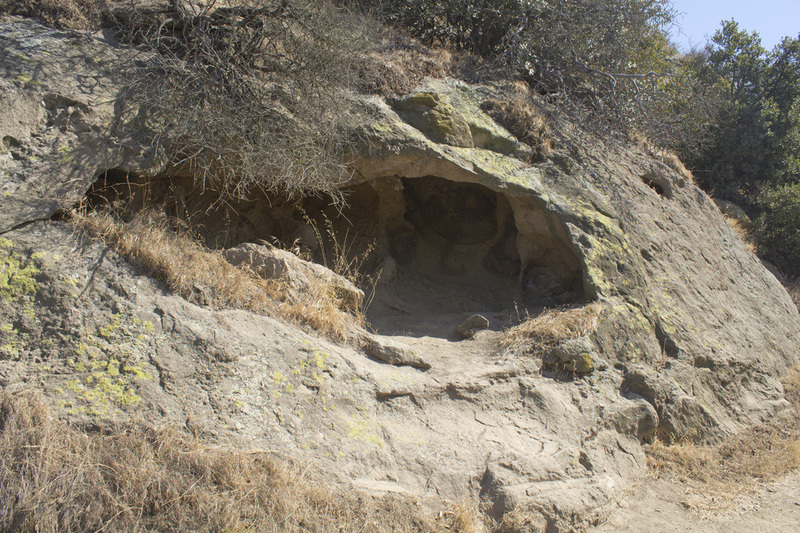 There are fewer visitors to this backside of the park, making for a much more private hike than to more popular sites like Mt. Hollywood or the Griffith Observatory. 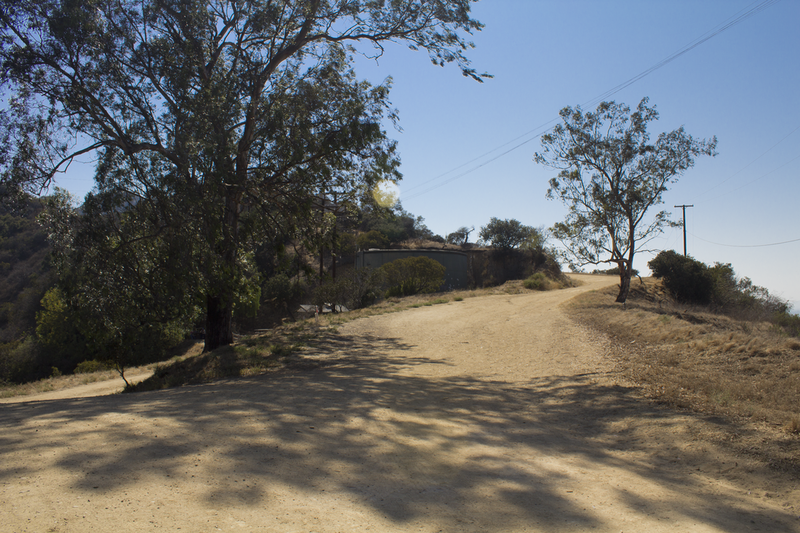 The hike is a fairly steady moderate uphill climb, mitigated somewhat by the fact it is paved and is ideal for parents who want to get a bit of a workout while pushing a stroller. Portions of the trail flatten out for extended sections with only one really steep area near the end. Depending on the time of day, much of the roadway is covered in shade from overhanging oak, chestnut and sycamore trees. 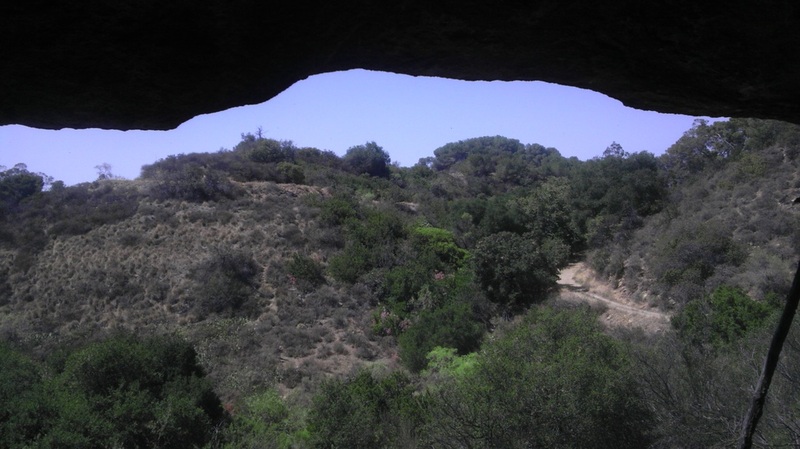 Climbing to the upper reaches of the canyon you will pass grand vistas, quiet coves, a haunted picnic table and, if you take the side trail into the canyon, a small cave. While hiking Royce's Canyon, take a moment to remember Ms Neuschatz and her good fight, for without her this lovely canyon would just be someone else's trash. Trailhead is the dirt fire road located on the west side of the parking area. 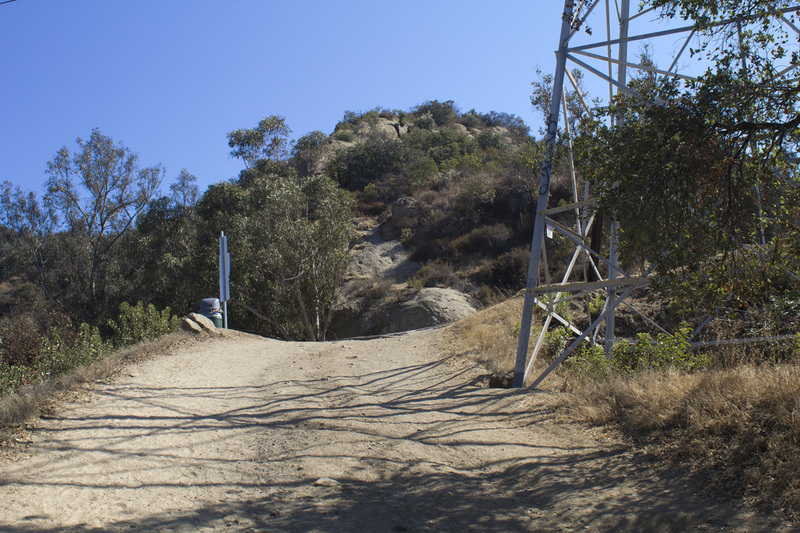 Do not cross Griffith Park Drive to the fire road opposite the parking lot next to the composting facility. That is a different trailhead. Opposite the parking area is a dirt fire road that begins the trail. to the next trail junctions. 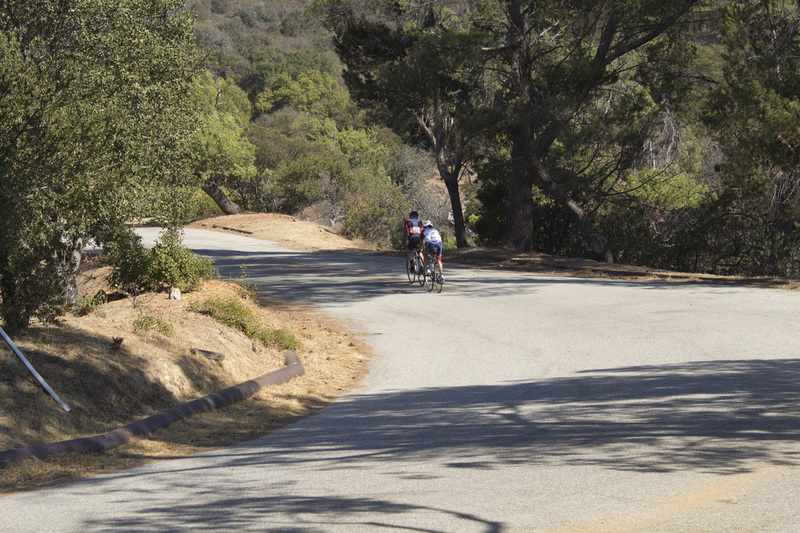 At the fork, bear right and descend back toward Griffith Park Drive. approximately 2.5 miles until it intersects with Vista del Valle Drive. 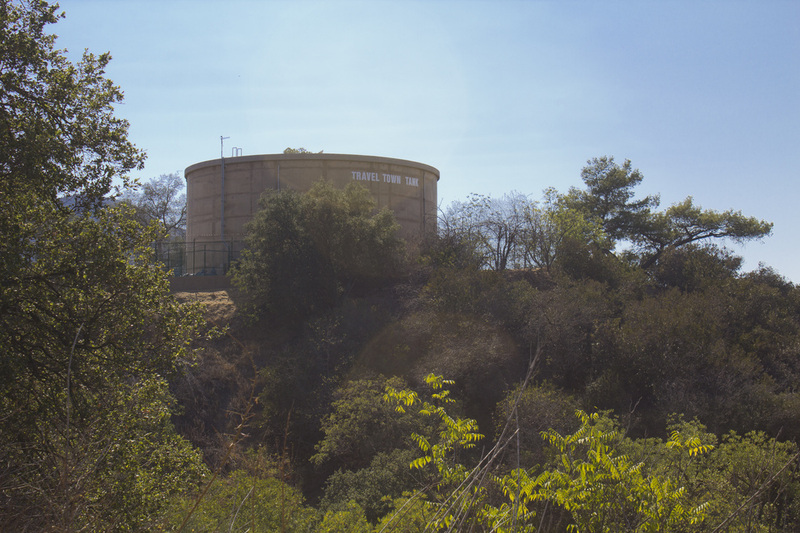 In about a .5 mile you will reach the Travel Town Water Tank. clearly seen climbing its way to the summit of Mt. Thom. When you're ready, continue along Mt. Hollywood drive. your steps to return to Mt. Hollywood Drive. 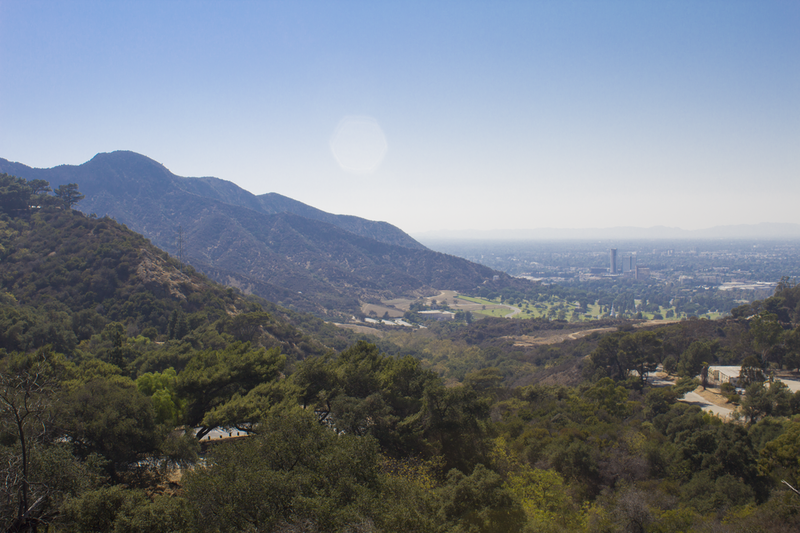 the San Fernando Valley. This marks one of the first good views. for about .33 mile to Vista del Valle Road. road angling up to your right will take you to the summit of Mt. Chapel should you desire to bag a peak on this hike. When you're ready to head back, retrace your steps down Mt. with a stroller, return the same way you came. turn right, proceeding .33 mile to the next junction. 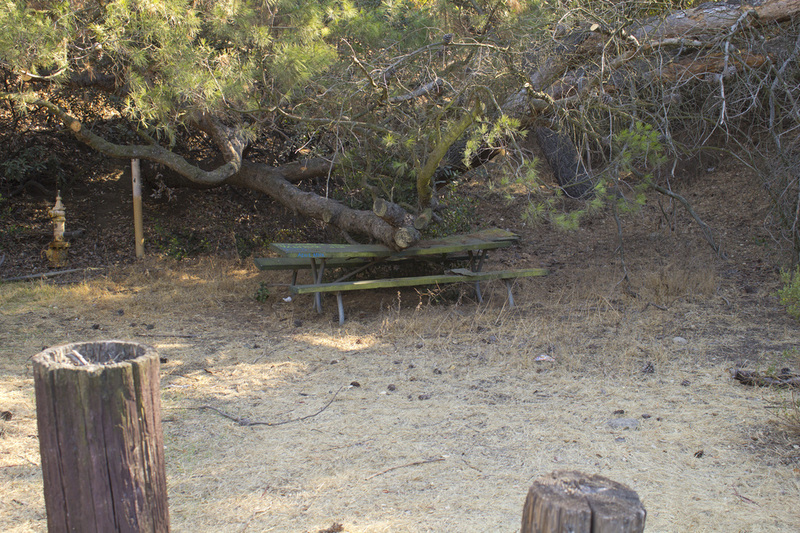 There is a picnic area with table and horse hitches located here. 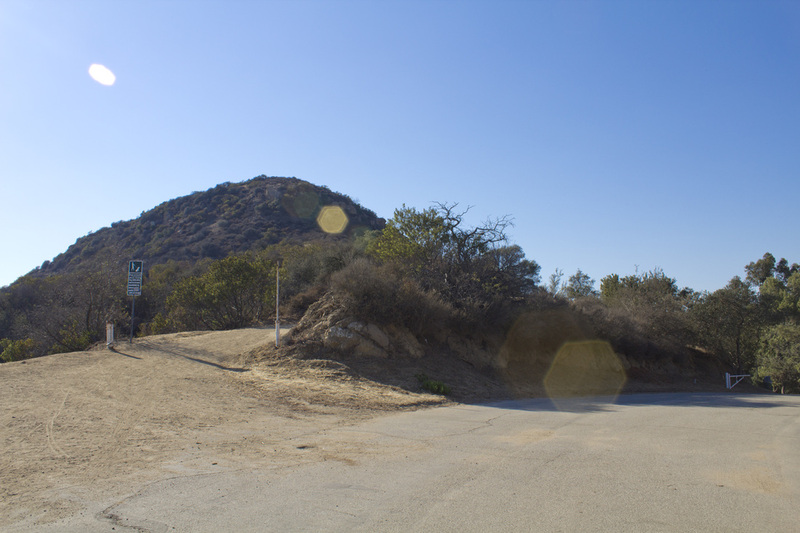 As you leave the landfill you will intersect with a paved road. for the dirt fire road, traveling approximately 30 yards. country water fountain in approximately .12 mile. the dirt road for another .2 mile to reach the parking lot. Prehistoric Beast or Weathered Rock?